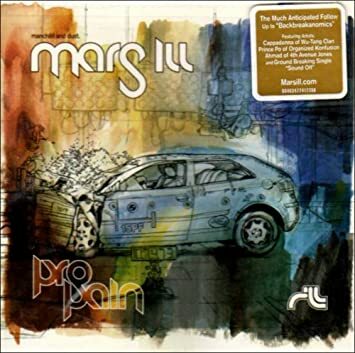 Here Is A Look At Mars ILL's Classic Album, ProPain. Have You Heard This Joint? What Are Your Thoughts? I don’t really know what I can say about this album to make you want to go buy it. You just need to have it! Mars ILL raised the bar to an immense level with Pro Pain! I didn’t think they could do it, but they did; they delivered an album that makes their previous releases look like child’s play. Both Dust & manCHILD were at the top of their game in delivering this masterpiece, and all of the accompanying emcees that dropped verses were on point as well. This is hands down my favorite release of 2005, it’s as simple as that.